Sustainable development in Haiti is only possible if public authorities engage with civic initiatives and organisations in Haiti. Their closeness to local communities and individual citizens is of vital importance in ensuring that new policies and initiatives meet people’s real needs. 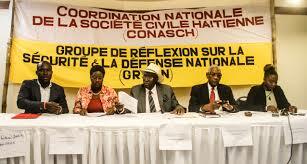 Civil society in Haiti is very vibrant and diverse. There are very many platforms, movements and non-governmental organisations, covering a wide range of sectors such as education, health care, human rights and rural development. One of the key messages of the Coordination Europe-Haiti is that the international community should always engage with Haitian civic initiatives and organisations. We observe that over the years international NGOs who are ever stronger on the ground since the 2010 earthquake have often been privileged in international programmes aimed at supporting civil society. As a matter of principle, we believe that working with indigenous civic movements and organisations should have priority. Working with local civil society in all phases, from development policy design to implementation and evaluation, is stated as a key principle in the official documents of the European Union. However, in practice collaboration has proven to be a challenge. On the one hand Haitian organisations could do much more to join forces, coordinate initiatives and develop common perspectives. The Coordination Europe-Haiti encourages precisely this. On the other hand, the European Union should step up its efforts for broader and more representative consultation and collaboration with civic initiatives. Our platform continually appeals to the EU Delegation in Haiti to organise timely, widely circulated, transparent consultations about aid programming in Haiti. Late 2015, early 2016 Haitian civil society organisations have – to a large extent – been absorbed by the political crisis that was induced by an election process that failed to get confidence of the wide majority of Haitian society. 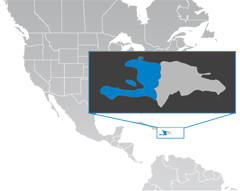 Almost the only other issue raised by local CSOs that got media attention in the last months was the ongoing migration crisis of people of Haitian descent that are forced to leave the Dominican Republic. As far as we know, the long awaited consultations with Haitian CSO’s by the EU delegation to conclude the operationalisation of the four priorities of the 11th European Development Fund have not yet been planned. The Coordination Europe-Haiti is of the opinion that if the current political crisis prevents progress in consulting with government representatives, the EU delegation could move forward with the operationalisation by organizing early stage consultations with CSO’s. Browse through all published articles.